Dr Ulrich Schneider returned to the Intellectual Forum to deliver a lecture on quantum computers for the Cambridge Science Festival. 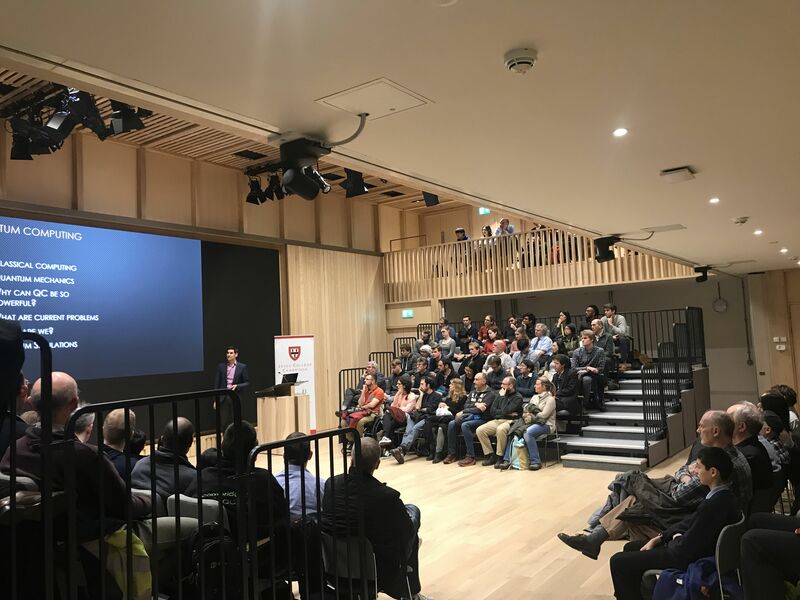 Following on from the success of his Science Festival lecture last year, the event sold out quickly and Dr Schneider presented to a full house. 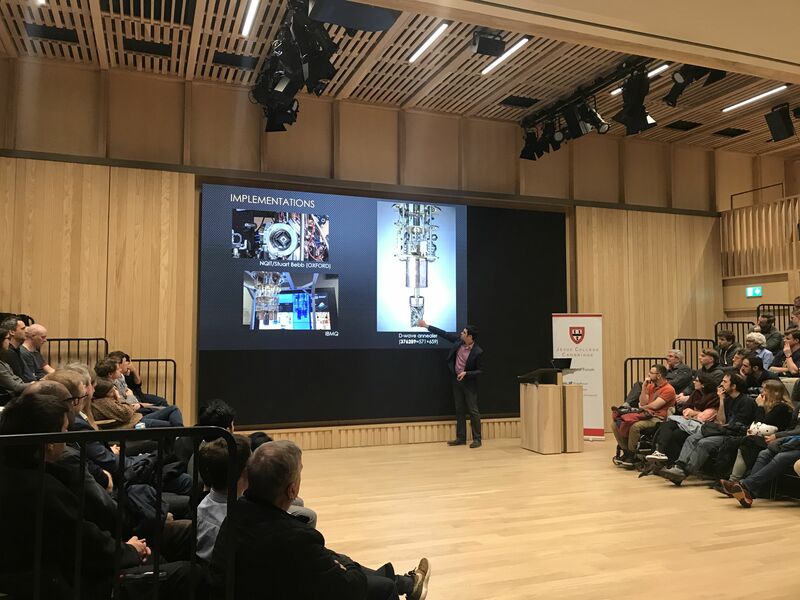 After giving the audience a whistle-stop tour of quantum mechanics, he went on to explain what is currently possible to achieve with quantum computing. The audience had the chance to ask questions after the talk, and grilled Dr Schneider on quantum entanglement, measuring the impossible and what the future could hold for quantum computers. Dr Schneider said: "It's always great to see the excitement that these ideas create in the people that come to these talks, and it's great to see how deeply they have thought about these things even without having a background in the subject matter." 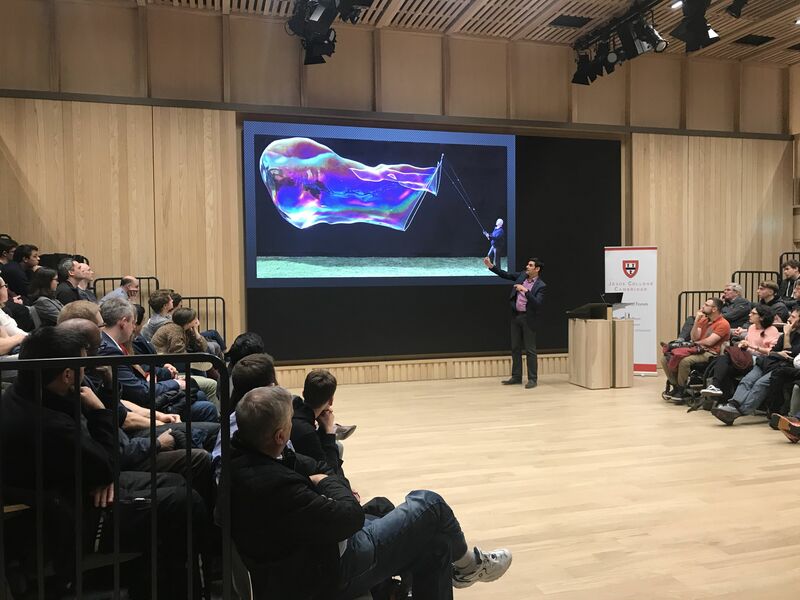 Dr Julian Huppert, Director of the Intellectual Forum, said: "It was a brilliant talk to a capacity audience, talking about what quantum mechanics means that we can and cannot do. The potential applications are amazing - but the fact that so far the largest number we can factorise using a quantum computer is 21 suggests that there is quite a way to go." You can find out more about Dr Schneider's work here.